24 June 2016. A company creating treatments for disease that edit the human genome is raising another $38 million in its second venture financing round. Crispr Therapeutics in Basel, Switzerland says with the new funding, it gained nearly $140 million in the entire round. The Crispr Therapeutics technology is based on the research of Emmanuelle Charpentier, now a professor at the Max Planck Institute for Infection Biology in Berlin and a scientific founder of the company. 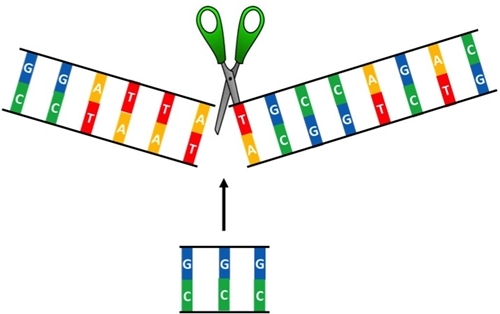 Her research discovered the capability of Crispr — short for clustered regularly interspaced short palindromic repeats — to alter human genomes with an enzyme known as Crispr-associated 9, or Cas9. The Cas9 enzyme can program RNA to silence genes and provide immunity against invading genetic material. Cas9 also harnesses RNA to cut DNA at precise points in genomes, making it possible to delete, insert, or correct defects in human genomes. Charpentier led research teams that published their findings in the journal Science in 2012, and an article in Nature a year earlier. The company is developing treatments that work either outside or inside the body. In some cases, cells will be removed from individuals, with their genes edited in lab cultures, then reinserted back into patient. In other cases, gene-editing mechanisms will be delivered with natural lipid nanoparticles directly to organs or through injections into the blood stream, where they can work inside the body. Crispr Therapeutics says it is developing treatments for mutations in somatic or existing cells in the body, but not germline modifications that develop through reproductive processes and passed on to successive generations. The company signed a joint statement with Intellia Therapeutics in December 2015 limiting their work to “to discovering and developing gene editing-based treatments for serious diseases using only non-germline somatic cells.” Diseases being considered by Crispr Therapeutics include the inherited disorders sickle cell disease and beta thalassemia, certain types of immunodeficiencies, and immune therapies for cancer. Participating in the latest financing are Franklin Templeton Investments, New Leaf Venture Partners, funds advised by Clough Capital Partners L.P. and Wellington Capital Management L.L.P., and other undisclosed life sciences funds. Earlier second-round funders were Bayer Global Investments, an affiliate of Bayer AG, and Vertex Pharmaceuticals. Crispr Therapeutics was founded in April 2014, and as reported in Science & Enterprise, raised $25 million in its first venture funding round. The company opened a research office in Cambridge, Massachusetts a year later, and plans to use the new funding to expand that facility, as well as advance its current and future treatment programs.